Speaking at the Humanities Center Annual Symposium, Caroline Levine encouraged faculty and students to pay more attention to patterns in their studies. PROVO, Utah (November 13, 2015)—“We do not expect people to be deeply moved by what is not unusual,” George Eliot wrote in her 1871 novel, Middlemarch. Instead, people pay attention to things that stand out, make waves or break molds. So it’s understandable that art would have trouble representing work, labor or any action so repetitive that we encounter it every day. But Caroline Levine – visiting professor from the University of Wisconsin-Madison – believes that repetition is exactly where researchers need to pay attention. As the guest scholar at the Humanities Center’s Annual Symposium, Levine delivered her presentation “Pattern Recognition: Literature, Habit, Labor,” inviting faculty and students alike to notice and respond to repetition. Repetition, Levine explained, produces forms and patterns that we perceive but regularly ignore. These patterns include racism and heteronormativity, patterns of conduct that influences other activities. 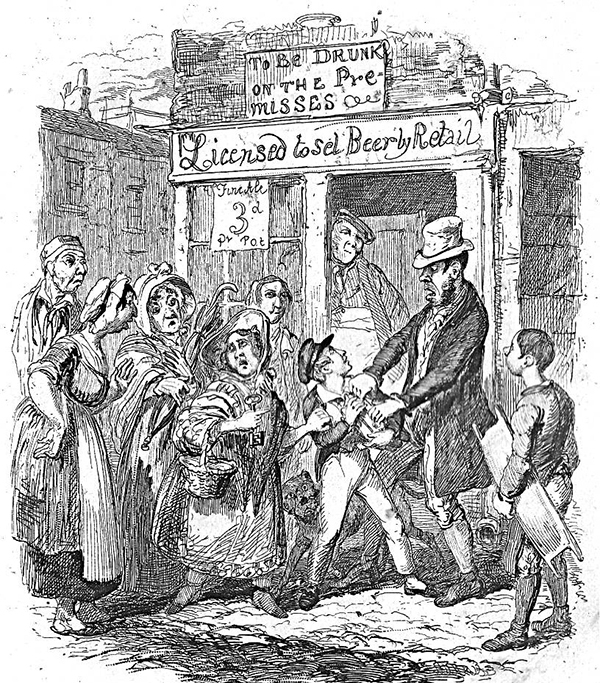 As an example, Levine turned to Bleak House by Charles Dickens. Dickens describes Jo – a homeless boy suffering from pneumonia – emphasizing the boy’s ordinariness. He is not a foreign oddity; he is just an everyday and unappealing street urchin, and the narrator concludes, “There is nothing interesting about thee.” Jo is left to die, unaided and unnoticed. Levine expounded on Dickens’ purpose in describing Jo in such a manner, saying, “We ignore poor children like Jo because they’re too familiar. They’re not exotic enough.” She added, “The commonness of Jo’s fate is in fact what should be most shocking to us.” The challenge for Dickens and other realist authors was not only to make the ordinary appear shocking, but also to make readers question why they took such ordinary things for granted, to challenge the status quo that they ignored for its lack of appeal. Samuel covers events for the Humanities Center for the College of Humanities. He is a senior pursuing a degree in American studies with a minor in editing.